Vanedge Capital is an early stage technology venture capital fund with an investment focus in cloud infrastructure software, cyber security, big data analytics, machine learning applications and software as a service in markets undergoing technology disruption. Mr. Lee is Founder and Managing Partner of Vanedge Capital Partners Ltd. Mr. Lee was the former President of Electronic Arts, Inc, responsible for all product development. Mr. Lee has been an active investor in many successful technology companies including: Distinctive Software, sold to Electronics Arts; ALI Technologies, sold to McKesson; Blast Radius, sold to WPP Group; Bycast, sold to NetApp; Wurldtech, sold to General Electric; Recon Instruments, sold to Inte;l and Privacy Analytics, sold to IMS Health. Mr. Lee has served as one of Canada’s representatives to the APEC Business Advisory Council from 2010 – 2014 and as a member of the 2016 B20 SME Taskforce delegation. 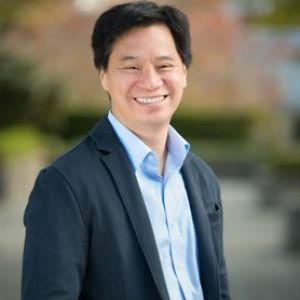 Mr. Lee serves on the Premier’s Technology Council, the UBC Sauder School Faculty Advisory Board and the Vancouver Public Library Foundation’s Campaign Cabinet. Mr. Lee also chairs D-Wave Systems and is involved with the boards of Canalyst, Control Mobile, Pacific BioEnergy and Vendasta.